World Cancer Congress This is held every two years and serves as a platform for discourse and advocacy as well as a learning and sharing opportunity for our members and partners around the world. Global Roundtable Series, with key meetings scheduled for Europe, Latin America and Asia; these exclusive events respond to the most pressing topics including the outcomes from the UN High-level Meeting on Non-communicable Diseases (NCDs), tackling cervical cancer and cancer in children. World Cancer Leaders’ Summit, an annual high-level policy meeting dedicated exclusively to furthering global cancer control. It convenes key players from among UICC’s membership and network, health ministers and leaders of international businesses. The UICC aims To Encourage governments to fulfil their commitments from the UN High-level Meeting on NCDs, with a special focus on the importance of national cancer control plans and surveillance. to Support WHO to develop robust systems for measuring progress against targets, ensuring governments can be held accountable. GAPRI (Global Access to Pain Relief Initiative) seeks to make essential pain medicines universally available. Providing direct support to more government ministries around the world, GAPRI aims to simplify the complicated international regulations around the distribution and use of morphine. CCI (Cervical Cancer Initiative) aims to advocate for cervical cancer to become a priority at the highest level, increase access to prevention, screening and treatment services and develop crucial information on the cost of scaling up cervical cancer control activities. ChiCa (Childhood Cancer) – This programme seeks to ensure decision-makers around the world understand the importance of early treatment of cancer in children. The programme is developing resources to help governments, particularly in low- and middle- income countries, improve the way they respond to this issue. GETI (Global Education and Training Initiative) facilitates the professional development of oncology healthcare workers and global leaders in cancer control. Through targeted fellowships, workshops and training the programme helps develop future leaders in cancer control and influence healthcare policy and practice across each of our priority programmes. GICR (Global Initiative for Cancer Registries) aims to increase the number and quality of population-based cancer registries in low- and middle-income countries. Working in collaboration with the International Agency for Research on Cancer (IARC), UICC will roll- out hubs of excellence. The last World Cancer Congress took place in Melbourne, Australia from 3-6 December 2014. 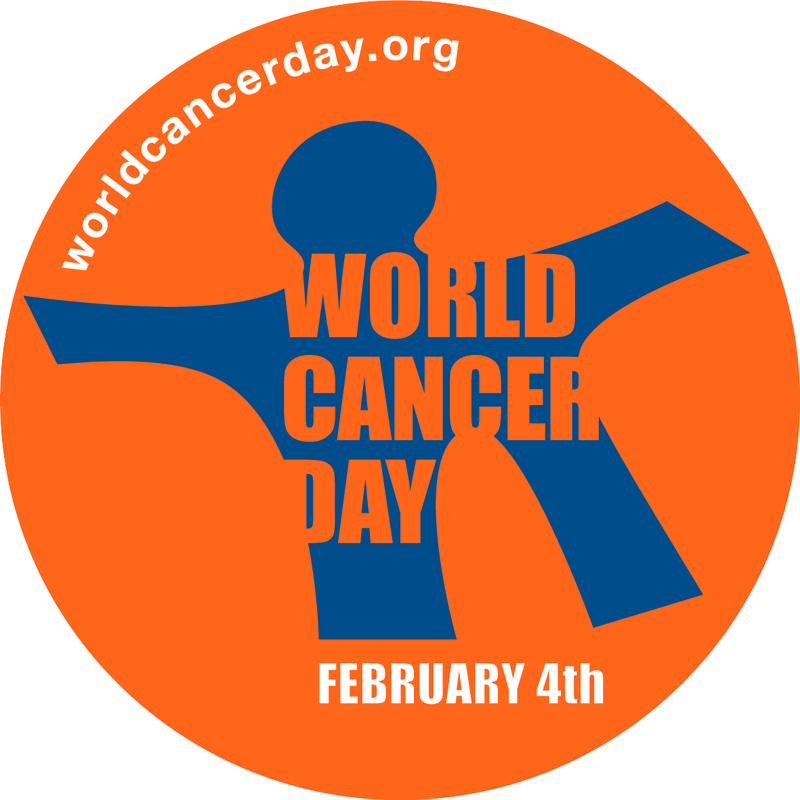 The UICC brings together a wide range of organizations, including voluntary cancer leagues and societies, research and treatment centres, public health authorities, patient support networks, advocacy groups, and in some countries, ministries of health. UICC has consultative status with the United Nations (UN) Economic and Social Council. It works closely with the World Health Organization, the International Agency for Research on Cancer,and the Programme of Action for Cancer Therapy(PACT) initiated by the International Atomic Energy Agency. Cancer networks, partnerships, coalitions, and alliances may join UICC in the category of common interest groups, offering cancer control professionals, volunteers and advocates the chance to become part of a vibrant international community – accessing and sharing information, discussing and debating key cancer control issues with their peers, contributing to shared activities, and helping shape UICC’s strategic directions as well as the programme of the UICC World Cancer Control. The World Health Assembly resolution on cancer prevention and control adopted in May 2005, calls on all countries to intensify action against cancer by developing and reinforcing cancer control programmes. This resolution has added momentum to theWHO’s longstanding work against cancer. WHO is working with partners like UICC to create a global plan of action against cancer. A series of six WHO modules provides practical advice for programme managers and policymakers on how to advocate, plan and implement effective cancer control programmes, particularly in low-and-middle-income countries. Best Known for his extravagant stage shows and flamboyant costumes, The late, great American Pianist Liberace tragically died at the age of 67 on February 4, 1987 , from “Cytomegalic Virus having been in ill health since 1985 with emphysema from his daily smoking off-stage, as well as heart and liver troubles. He was born 16th May in 1919. In a career that spanned four decades of concerts, recordings, motion pictures, television and endorsements, Liberace became world-renowned. During the 1950s–1970s he was the highest-paid entertainer in the world and embraced a lifestyle of flamboyant excess both on and off the stage. Liberace was born in West Allis, Wisconsin, a Milwaukee suburb, his father was a musician who played the French horn in bands and movie theaters and encouraged music in the family. Liberace began playing the piano at four and his father took his children to concerts to further expose them to music, Liberace’s prodigious talent was soon spotted. He memorized difficult pieces by age seven and studied the technique of the famous Polish pianist and later family friend Ignacy Paderewski who he met backstage at the Pabst Theater in Milwaukee. He dreamed of following in Ignacy’s footstep, which inspired him to practice with even greater fervor. Liberace focused fiercely on his piano playing and blossomed under the instruction of music teacher Florence Kelly who guided his musical development for ten years. He gained experience playing popular music in theaters, on local radio, for dancing classes, for clubs, and for weddings. He played jazz with a school group called the “Mixers” in 1934. Liberace also performed in cabarets and strip clubs, and even though his parents did not approve, he was earning a tidy living during hard times. For a while he adopted the stage name “Walter Busterkeys” and also showed an interest in draftsmanship, design, and painting, and he became a fastidious dresser and follower of fashion and was showing a knack of turning his eccentricities into attention-getting virtuesIn a formal classical music competition in 1937, Liberace was praised for his “flair and showmanship”. At the end of a traditional classical concert in La Crosse, Wisconsin in 1939, Liberace played his first requested encore, “Three Little Fishes”, in the style of several different classical composers. The 20-year-old played with the Chicago Symphony Orchestra , performing Liszt’s Second Piano Concerto, for which he received strong reviews. He also toured in the Midwest. Between 1942 and 1944, Liberace moved away from straight classical performance and reinvented his act and started featuring “pop with a bit of classics” or as he also called it “classical music with the boring parts left out.”by the mid- and late 1940s, he was performing in night clubs in major cities around the United States, largely abandoning the classical concertgoer. He changed from classical pianist to showman, unpredictably and whimsically mixing serious with light fare.In 1944, he made his first appearances in Las Vegas, which later became his principal performance venue. He was playing at the best clubs, finally appearing at the celebrated Persian Room in 1945. During this time, Liberace worked tirelessly to refine his act. He added the candelabrum as a signature prop and adopted “Liberace” as his stage name. He dressed in white tie and tails to be better seen in large halls. Besides clubs and occasional work as an accompanist and rehearsal pianist, Liberace also played for private parties. By 1947, he was billing himself as “Liberace—the most amazing piano virtuoso of the present day.” he also bought a rare, over-sized, gold-leafed Blüthner Grand, which he hyped up in his press kit as a “priceless piano”. He also performed with an array of other extravagant, custom-decorated pianos, some encrusted with sequins and mirrors.Liberace also created a very successful publicity machine which helped rocket him to stardom.Despite his success in the supper-club circuit, his ambition was to reach larger audiences as a headliner and a television, movie, and recording star. Liberace began to expand his act and made it more extravagant, with more costumes and a larger supporting cast. His large-scale Las Vegas act became his hallmark, expanding his fan base dramatically, and he became very wealthy in the process. Liberace moved onto television and had guest appearances on The Kate Smith Show & Cavalcade of Stars, However he soon wanted his own show, and His first show on local television in Los Angeles was a smash hit, earning the highest ratings of any local show. The fifteen-minute network television program, The Liberace Show, began on July 1, 1952. Liberace learned early on to add “schmaltz” to his television show and to cater to the tastes of the mass audience by joking and chatting to the camera, as if performing in the viewer’s own living room. He also used dramatic lighting, split images, costume changes, and exaggerated hand movements to create visual interest. His television performances also featured enthusiasm and humor and his musical selections were broad, including classics, show tunes, film melodies, Latin rhythms, ethnic songs, and boogie-woogie.In 1956, Liberace had his first international engagement, in Havana. which He followed up with a European tour later that year. In 1960, Liberace performed at the London Palladium with Nat King Cole and Sammy Davis Jr at the Royal Variety Show. In 1964 Liberace returned to Las Vegas, and, upping the glamour and glitz, he took on the sobriquet “Mr. Showmanship”. The costumes became more exotic (ostrich feathers, mink, capes and huge rings), entrances and exits more elaborate (chauffeured onstage in a Rolls-Royce or dropped in on a wire like Peter Pan), choreography more complex (involving chorus girls, cars, and animals), and novelty acts.Liberace’s energy and commercial ambitions took him in many directions. He owned an antiques store in Beverly Hills, California and a restaurant in Las Vegas for many years and even published cookbooks, In addition, he had a line of men’s clothing, a motel chain (Liberace Chateau Inns), a shopping mall, and other enterprises. Throughout the 1970s and early 1980s, Liberace’s live shows were major box office attractions in Las Vegas at the Las Vegas Hilton and Lake Tahoe. He maintained homes in both places. Always kind to animals and children, Liberace incorporated them into his shows and helped talented youth through his Liberace Foundation, whose works still continue.Liberace’s final stage performance was at New York’s Radio City Music Hall on November 2, 1986. His final television appearance was on Christmas Day that same year. Liberace’s body is entombed in Forest Lawn – Hollywood Hills Cemetery in Los Angeles. American rock singer, songwriter and musician Alice Cooper (A.K.A Vincent Furnier) was born on 4th February in 1948. His career spans four decades and He was originally in a band which featured him on vocals and harmonica, Glen Buxton on lead guitar , Michael Bruce on rhythm guitar, Dennis Dunaway on bass guitar and Neal Smith onDrums. The original Alice Cooper band broke into the international music mainstream with the 1971 hit “I’m Eighteen” from the album Love It to Death, which was followed by the even bigger single “School’s Out” in 1972. The band reached their commercial peak with the 1973 album Billion Dollar Babies. In the mid seventies Furnier went solo, adopting the band’s name Alice Cooper as his own name, and began with the 1975 concept album Welcome to My Nightmare, Expanding from his original Detroit rock roots, over the years Cooper has also experimented with many various musical styles, including conceptual rock, art rock, hard rock, New Wave, pop rock, experimental rock and industrial rock and is credited with helping to shape the sound and look of heavy metal. Cooper is also famous for his stage shows which often feature guillotines, electric chairs, fake blood, boa constrictors and baby dolls, Cooper has drawn equally from horror movies, vaudeville and garage rock and he is regarded as being the artist who “first introduced horror imagery to rock’n’roll, and pioneered a grandly theatrical and violent brand of heavy metal designed to shock, and his stagecraft and showmanship have permanently transformed the genre”. Between I’m Eighteen and his 2011 release Welcome 2 My Nightmare, he has done many great songs including Schools Out, No More Mr Nice Guy, Trash,Poison and Hey Stoopid. in 2011 the original Alice Cooper band was inducted into The Rock and Roll Hall of Fame and Welcome 2 My Nightmare is Alice’s 19th album as a solo artist, and his 26th album in total.